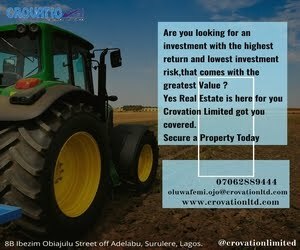 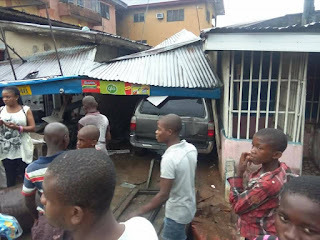 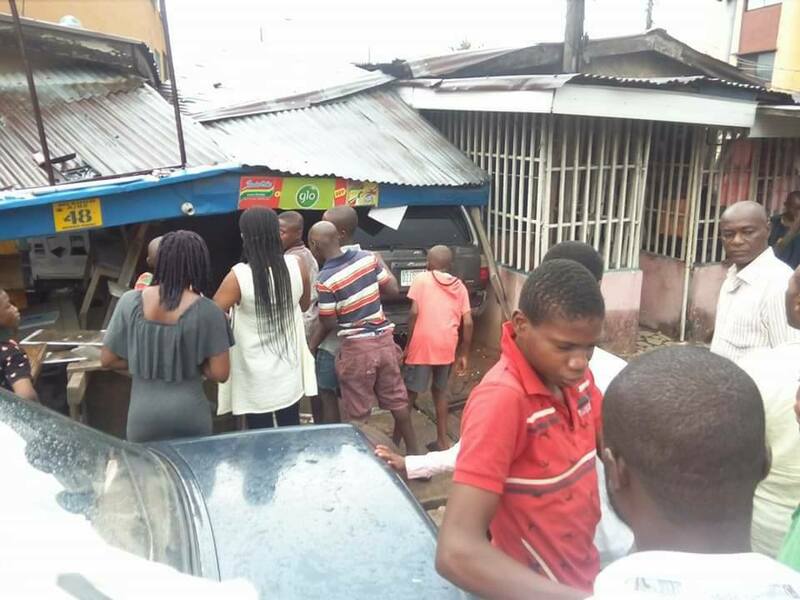 There was panic earlier today when a Nissan Pathfinder Car driven by a lady lost control and ran into a shop, a residential area at Okorie Street off Tetlow Road, Owerri, Imo State capital. 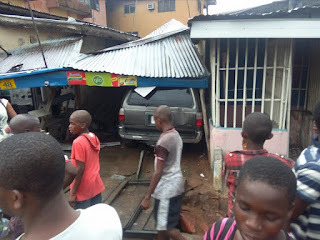 Luckily no one was hurt as the owner of the shop, a woman was said to have locked her shop and left to rest at home immediately it started raining. 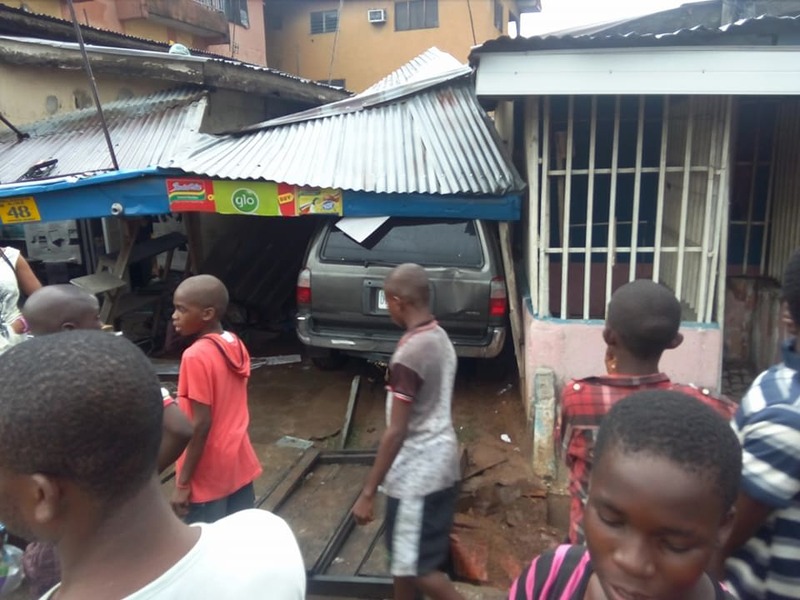 According to an eyewitness, not up to 20minutes she left her shop, a car ran into it, destroying properties to the bewilderment of all present. According to reports, the woman when contacted, praised God - saying what could have happened, if she was still in the shop.